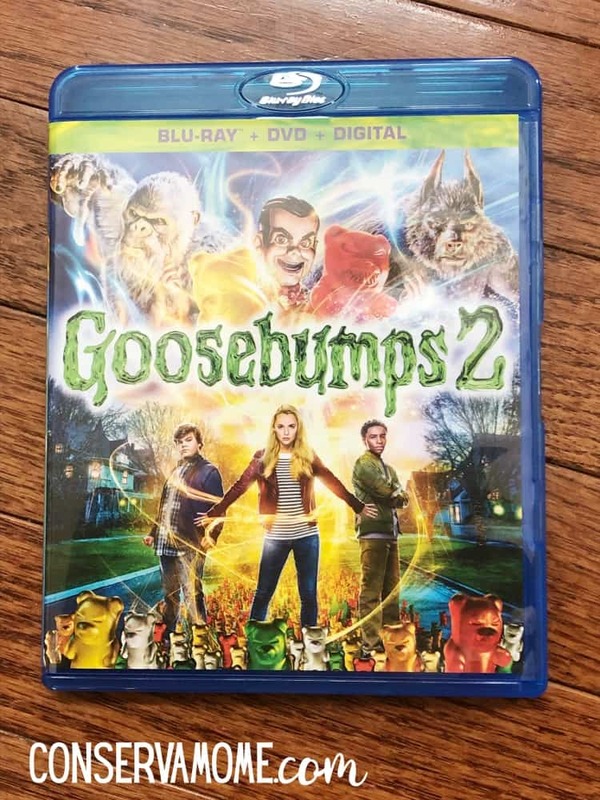 It’s here the new Goosebumps 2 DVD+ Blu-Ray +Digital copy. Head below to find out more about it, check out some great extras and most important win you’re own copy! I received a free copy of the movie for my honest thoughts. However, all opinions are 100% mine. It’s here! The GOOSEBUMPS 2 Blu-ray ™ , DVD and Digital Release! This movie was a huge favorite when it came to theaters for my crew. They LOVED it! Goosebumps fun comes to life again in the second movie. No wonder this is such a popular series!! Award®-winner Ari Sandel (2005, Best Short Film-Live Action, West Bank Story) from a story by Rob Lieber and Darren Lemke and screenplay by Lieber. Dive deep in “Thrills &Chills- The Making of Goosebumps 2” with Madison Iseman, along with behind-the-scenes footage and interviews with the cast and crew. “Meet the Monsters” gives fans a sneak peek of how the scary creatures were brought to life. In “Slappy’s Audition,” watch what happens when Slappy auditions for the role he was born to play. 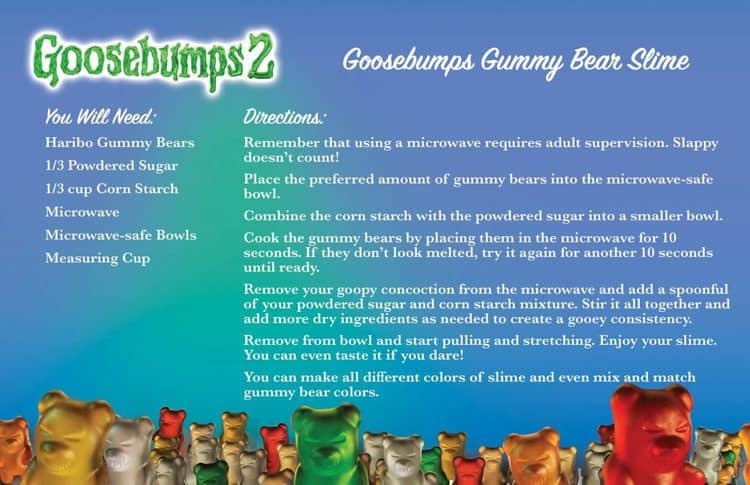 Gummy Bears are a huge part of the movie, check out this fun experiment below to make your very own Gummy Bear Slime. And get ready to sing along with three hilarious “Slappy-oke” songs. Who knew dummies could sing? One lucky winner will win this Blu-Ray+DVD+Digital Pack right here on my page. Just head below to enter. Giveaway is open to US only and ends on 2/3 at 11:59pm EST. Must be 18+ to enter. Good luck! I am a believer for sure. I do not believe in ghosts, although I love to read ghost stories! I absolutely believe in ghost! I don’t believe in ghosts. This movie looks like alot of fun. I think that my family would enjoy it. I do believe in ghost. YES!!!! I’ve lived in two different houses that both had a ghost! Only some are able to connect with them. Very young children, and pets are very common to see ghosts. My grand daughter also has seen ghosts. Yes I believe in ghosts. I don’t rule them out even though I haven’t seen any. I’m undecided.